Danielle Rosen lives and works in Chicago. She received her BFA from the Milwaukee Institute of Art and Design in 2011 and her MFA from the University of Chicago in 2013. Recent solo exhibitions include HYDRA at 65grand, Chicago, IL in 2017 and TOTEMS at The Ski Club, Milwaukee, WI in 2015. Selected group exhibitions include HOT at Produce Model Gallery, Chicago in 2016, Looking Askance at GallerySKE, Delhi, India in 2015, and Diegesis at the Logan Center for the Arts, Chicago in 2013. Rosen has been an artist in residence at ACRE in Steuben, WI and in 2018 will be a resident at HEIMA in Seyðisfjörður, Iceland and the Vermont Studio Center in Johnson, VT. Rosen’s work has been featured or reviewed in publications including Inside/Within, Jubilat, Chicago Reader, and Newcity. Rosen has work in the Douglas Fine Print Collection at the Denver Public Library and Special Collections in the Joseph Regenstein Library at the University of Chicago. In 2011, Rescue Press published The Institute for Species Systemization: An Experimental Archive under her performative platform, Patricia Rose. In 2017, The Museum of Contemporary Art and the Museum of Contemporary Photography in Chicago, IL hosted performances by Patricia Rose. Velvethorns by Patricia Rose will be published in the forthcoming issue of Pigeon: A Radical Animal Reader in 2018. 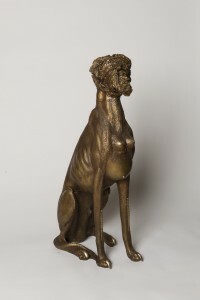 Rosen’s recent work continues her problematization of human-cultural representations of animal(s), of self.